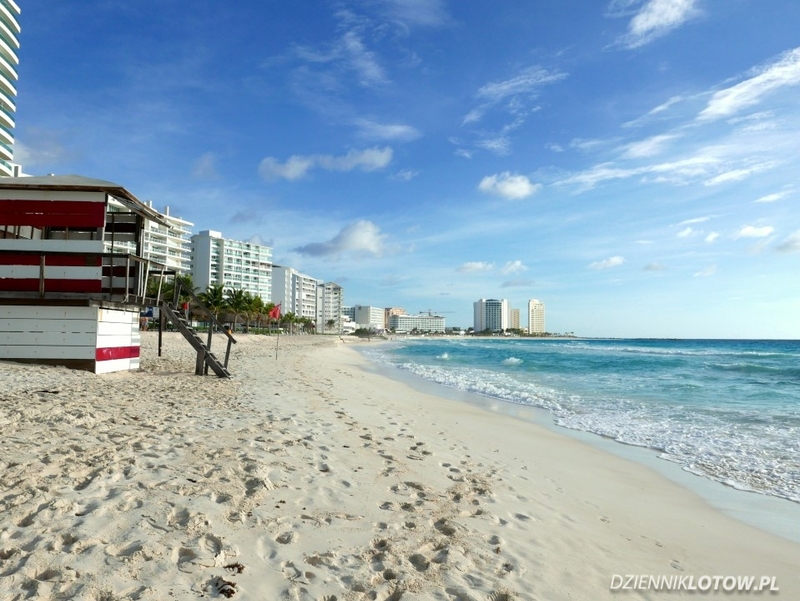 Cancun is where you will, most likely, start and end your trip. Moreover, a big part of the crowd will never go anywhere else in between. Why should they? Theoretically you’ve got everything there that you need for your perfect vacation – wide selection of hotels, beautiful beaches and delicious margaritas! For those more active folks there are some optional day tours and plenty water sport activities. Seems like more than enough, right? Well, we tend to disagree. Mexico has a lot more to offer and we recommend to explore as much as possible. Cancun is a good place to start though. The closest attraction to visit from Cancun are beaches of Riviera Maya. You can easily visit several of them on a single day trip. The one that gets a lot of attention is Playa del Carmen (PDC in short). PDC is advertised as a hippy place where you can escape Cancun crowds. Maybe in the past it used to be like that but nowadays it has become a very trendy place packed with expensive shops and loud discos. It seemed even more crowded than Cancun, especially that big cruise ships usually offer a day visit to that town. 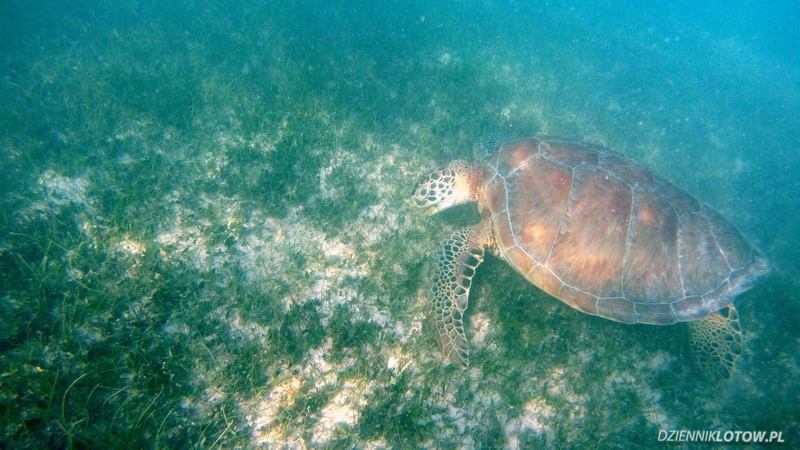 The place we liked much more was Akumal beach, where you can swim directly with large sea turtles. Any time of day you can be nearly 100% sure you will encounter at least one of these creatures feeding on underwater grass fields. There are some rules to follow so turtles are not harmed by tourist – you must wear a life-jacket, so you can’t dive to closely. Fins are also prohibited. Cozumel is another location that is being chosen by some people as their single location for Mexican vacation, especially that some international flights land there. Cozumel is an island close to Playa del Carmen. You can easily reach it by ferry. Why is Cozumel special? You can still find there some very quiet, empty beaches, especially on its east shore. 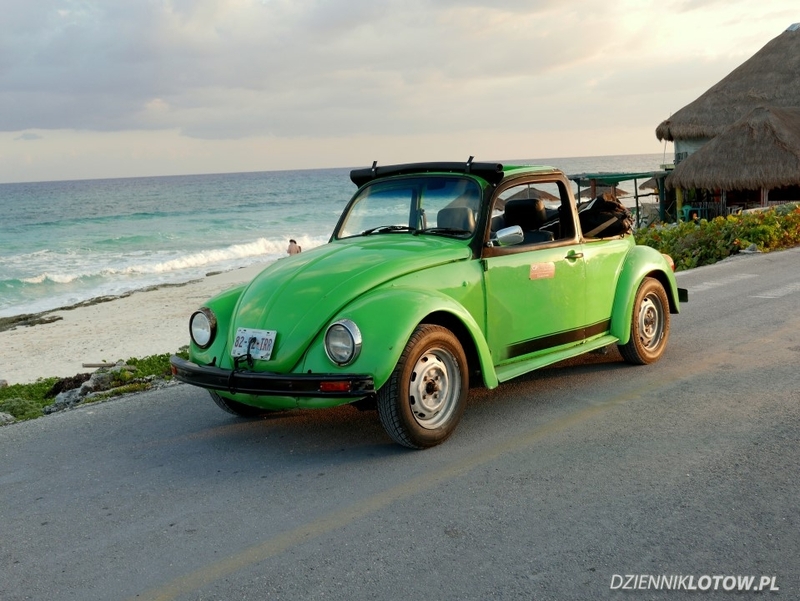 For us, the biggest attraction on Cozumel was renting an old VW Bug Cabrio and drive around the island. The route is perfect for 1 day trip with multiple stops in between. Apart from the car trip not much to do or admire there – the rest of Yucatan is much nicer. 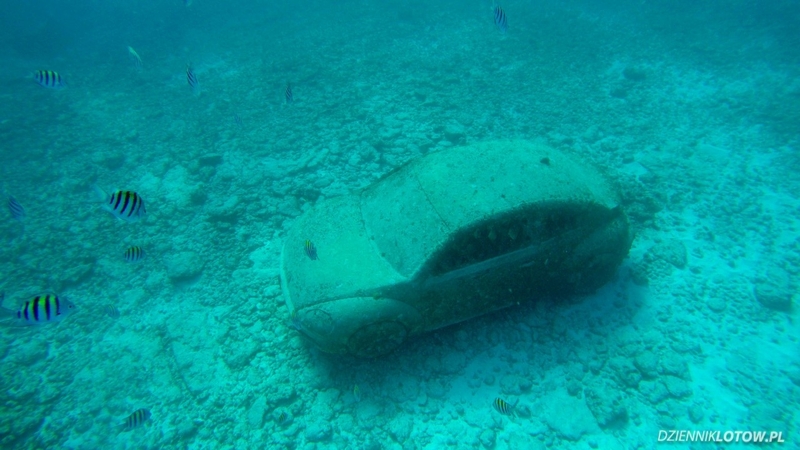 Cars are often in terrible shape – no seat-belts, no-horns or even no… breaks! Another day trip from Cancun is Isa Mujeres. 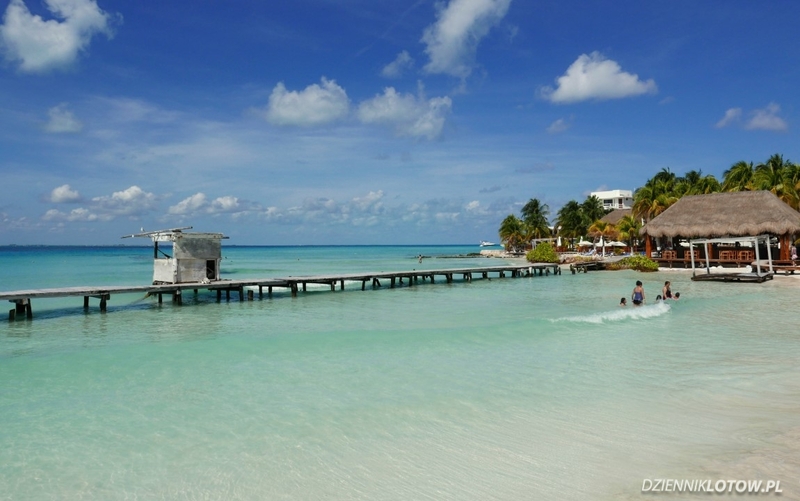 Jump onto a boat in Cancun and after 30 minutes ride you will arrive to the Island of Women (Isla Mujeres). Regardless the tour-operator you choose, all trips look similar. At first you go by boat to Playa Norte, which is arguably the most beautiful beach in the area (we disagree). After 2h on the beach you go for a very basic snorkeling in shallow water, close to a lighthouse. After snorkeling there is a mass-lunch in a big tent, where you can enjoy alcohol drinks for additional charge. You can also hold a nearly-dead, toothless shark staying in the waist-deep water – pathetic and cruel if you ask us. All attractions described above were pretty poor. The only highlight that we enjoyed was the Musa – an underwater art gallery, where you can admire multiple sculptures at the bottom of see. The water is around 10m deep there, with good visibility. You can visit it using snorkeling gear or by scuba diving. Musa is paid extra and not included in basic tours – make sure to request it when booking. This seems to be the most popular day-trip from Cancun, maybe except adventure parks like Xplor or Xel-Ha. 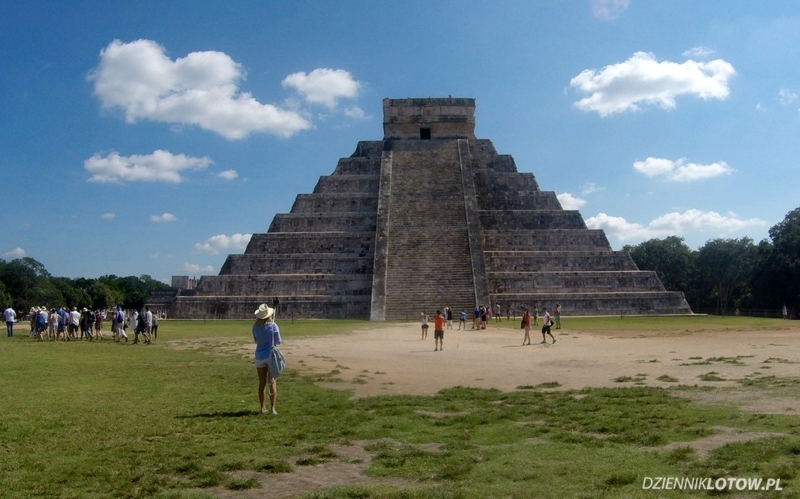 Chichén Itzá is an ancient Mayan city with a large stone pyramid El Castillo being its most recognizable landmark. You can admire the ruins by walking around on dirt paths and grass fields. You can hire a guide onsite if you wish to learn more about history of Maya people. You can also expect countless gift-stands and pro-active shop-owners advertising their goods. In Depending on your interest in ancient history you can spend there from 1 to 5 hours. After sightseeing in full sun have a refreshing dip in Il Kil Cenote. Merida is the capital city of Yucatan. It’s not listed in most guides as Yucatan’s highlight, but we enjoyed staying there a lot. It’s also a good base for other trips like Chichén Itzá or Celestun. The city is worth visiting in the evening, when it’s not too hot and a lot is going on in the city center. Have a walk to the old town, see the Catedral de Mérida and visit gift-shops in the park in front of the cathedral. 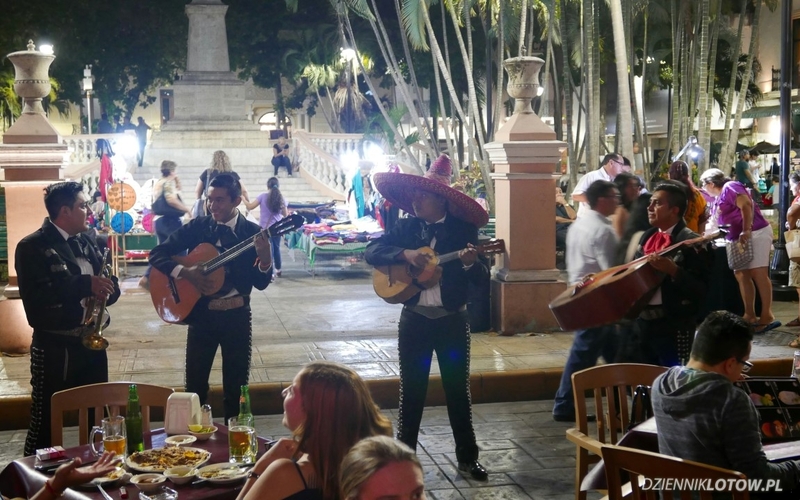 Finally have some margaritas and enjoy mariachis playing at your table. There is also open-air dancing with a live band. Celestún is a city at the west shore of the Yucatan Peninsula, located in the middle of a unique bio-sphere, where river Ria Celestún. The main attraction of that eco-system are flamingos, who come there to feed. In December you can see thousands of them walking around in the shallow water, looking for food. 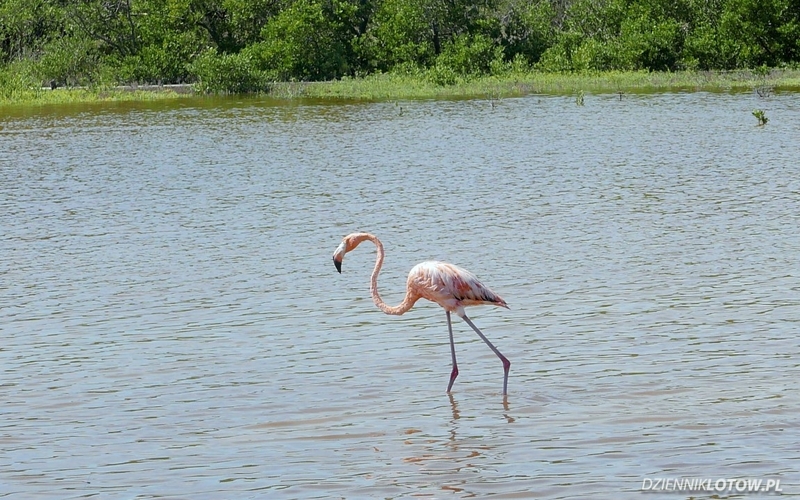 Apart from flamingos a usual trip would include visiting the mangrove forest as well and slowly ride through canals. 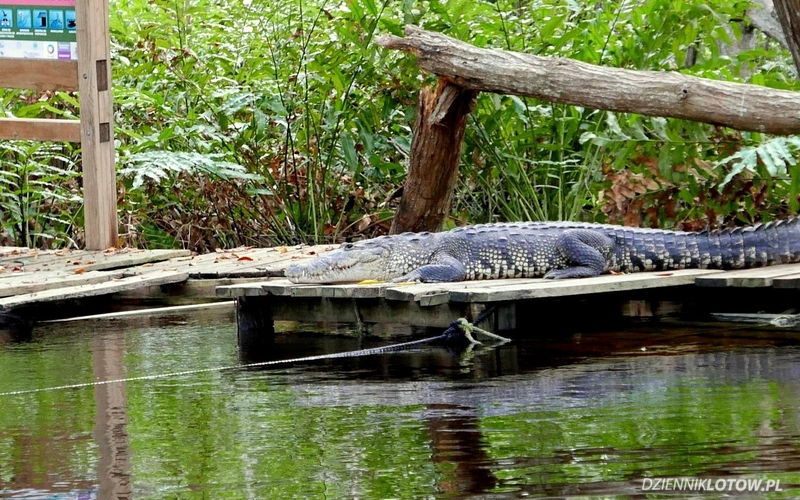 If you’re lucky enough you can even spot an alligator resting in the sun. South of Riviera Maya there is a small city called Tulum. The city itself is not very spectacular but it’s surrounded by several attractions. The most popular one is Mayan ruins located directly at the sea. This site offers magnificent views and rich fauna & flora. Except ancient ruins you can watch many animals (iguanas, lemurs, birds) or plants (many types of cactus trees). There is also a sandy beach located directly below ruins, so you can have a refreshing swim in between sightseeing. Very close from ruins there are other beautiful beaches to relax one, with the most known Paradiso Beach. Not for away there is also the Grand Cenote – one of our favorites. It seems surprising to us that one of Yucatan’s greatest attractions – Cenotes – is not that well known or advertised. Yucatan is actually full of easily accessible caves (Cenotes). They are usually filled with water and you can swim in them! It’s an unforgettable experience to swim in these giant wholes in rocky ground. 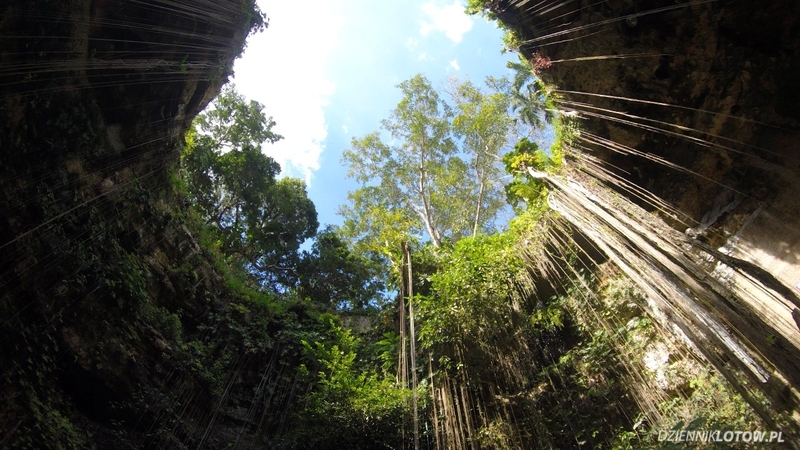 In some of them you can spot water creatures (fish, turtles, …) or admire enormous stalagmites and stalactites. Advanced divers can even take tours and swim from one cave to another using underwater corridors. Cenotes that we can recommend are: Il Kil & Xquequen (both close to Chichén Itzá) and Grand Cenote (close to Tulum). 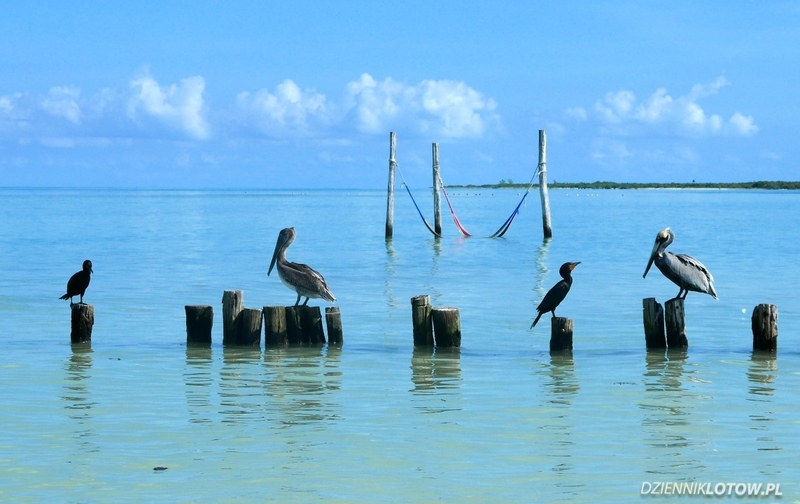 Holbox is hands down our top Yucatan attraction. This small island and the north coast of Yucatan can only be reached by ferry and car needs to wait on mainland. In result, there is almost zero regular cars. Instead, you can move around by bike or a golf cart. The island is also small enough to simply walk. Why did we enjoy Holbox so much? It’s much more quiet than Cancun and Riviera Maya and way more beautiful. It has wide beaches with hammocks in the water, mangrove trees and other rich flora. The Holbox village has a small center, where you can eat delicious food, buy gifts and enjoy some parties. 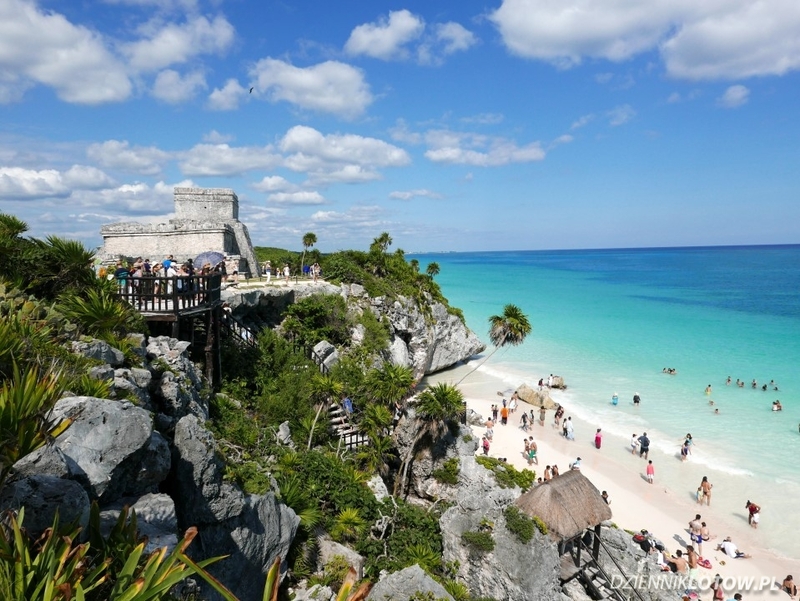 This entry was posted in Travel and tagged cancun, celestun, cenotes, chichen itza, isla blanca, merida, mexico, riviera maya, tulum, yucatan by admin. Bookmark the permalink.